Before you get started, sit down with your fiancé and discuss your flower budget. Many couples set aside around 8 percent of their total wedding budget for flowers, but the amount is up to you. A larger budget will allow for more elaborate designs, whereas couples on a smaller budget may choose arrangements with more greenery to cut costs. Pick wedding flowers that complement your venue and overall décor. For example, elegant white orchids go best with a formal ballroom setting, and wildflowers look great in more rustic weddings. Some flowers are only available at certain times of year. Choose wedding flowers that complement the season. Ask other couples which florist they used and peruse wedding review sites. Keep in mind that good florists tend to book six to eight months in advance. When it’s time for your appointment with the florist, read up on types of flowers and arrangements so you’re able to ask the right questions. 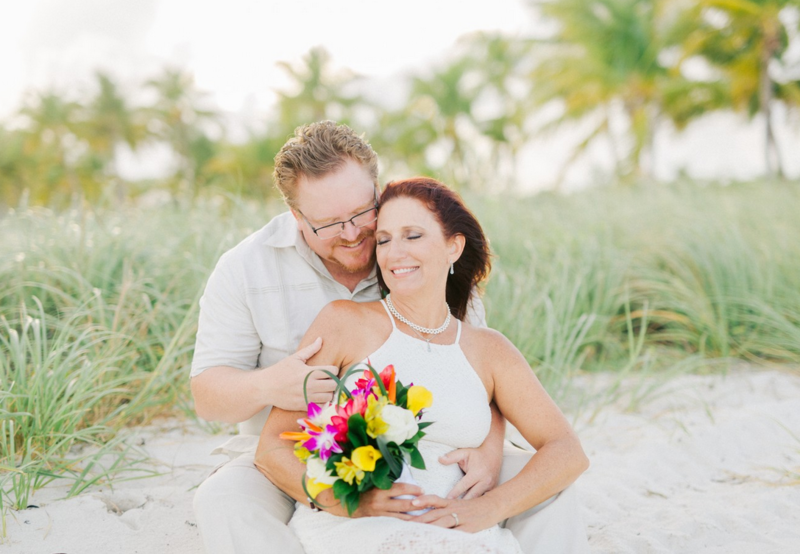 If you’re planning to get married in Key West, Aaron’s Key West Weddings can take care of your floral needs, such as providing and arranging flowers. We can also help with a variety of other wedding services, from bridal wear to officiants to accommodations. To book the Key West wedding of your dreams, call 305-293-8809 today!